In the wake of Hurricane Katrina and other destructive storms, getting affordable property insurance hasn’t been easy. Many private insurers shed high risk clients after storms in 2004-2005, and raised assessments for others. 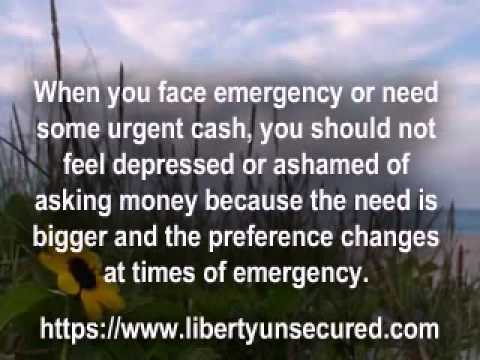 For those who could no longer afford private insurance (or who were declared uninsurable by private insurers), state insurer Citizens Property Insurance Corp is the last resort. Over the last year, the state has been attempting to keep property insurance rates low for those who are insured with CPIC. According to critics of the latest property insurance changes, however, Florida residents who are insured by private companies will end up paying more so that the rates can stay low for those insured by the state-owned company. The last week of March saw the Florida Senate approve some changes to property insurance that might end up increasing property insurance rates by around 3%. The bill was backed by Chief Financial Officer Alex Sink and approved by the Senate Banking and Insurance Committee. The intended effect is to reduce Florida’s Hurricane Catastrophe Fund by $3 billion. This means the state can reduce its investment in CPIC and therefore reduce its risk. At the same time, however, the state has also voted to freeze CPIC insurance rates through to the end of 2009. CPIC insures more than 1.3 Florida residents, and the rate freeze that occurred last year was done to avoid an increase that could have seen rates up by as much as 29%. The problem is, according to critics, that CPIC’s premiums aren’t high enough, and that the company won’t have enough cash reserves to be able to pay out claims if a major storm hits. This is why the $3 billion reduction in the Hurricane Catastrophe Fund is significant. The Catastrophe Fund is a sort of safety net that can kick into action when Florida is hit by a major hurricane, and is intended to reimburse private insurers a portion of the money they pay out in claims. However, with the fund now reduced by $3 billion, the deficit is likely to be made up by rate increases for homeowners. Last year, the state actually increased the Catastrophe Fund by $12 billion, but this year has been reduced by $3 billion. The fund was increased last year to reduce costs for insurers, and indirectly for homeowners. However, by increasing the Catastrophe Fund, the state of Florida was also increasing its own level of risk. The state now wants to start decreasing its investment in the fund to reduce its risk. The net effect, however, will likely be the opposite of that which it originally intended. With private insurers taking on more risk relative to last year, the end result is more than likely going to be increased property insurance rates. The estimate is around 3% overall, with a slightly higher increase possible for Southern Florida residents. Chief Financial Officer Alex Sink admits that an increase in rates is possible, but also says that if insurers try to increase rates to an unreasonable level, the state will step in. About the Author: Calum MacKenzie is Owner of Real Living Southern Homes a leading residential real estate brokerage located within Seven Oaks in Wesley Chapel, Florida and also serving the Tampa Florida real estate and Land O’ Lakes real estate markets. If you buy land for sale in Texas beware if you change the use of the land you could become responsible for tens of thousands of dollars in taxes that have nothing to do with you. If you are in the market for some nice pasture, ranch, or hunting land for sale in Texas you may want to sit up and read this carefully. In Texas the tax base is lowered dramatically for what is called Ag land or agriculture land, this is to give farmers and ranchers a much needed tax break and I have no problem with this tax relief for them and most Americans do not have a problem with it either. In Texas there is a little known tax law or tax code that you will not be told about by the local County Appraisal District until its to late, it is call a roll back tax and if you get charged by the Texas County tax assessor it could bankrupt you depending on the value of the land you bought and what the tax bill would have been over the previous five years for the land. If your wandering yes you did here me right the Texas County Tax Collector will charge you the new owner of the land not the old owner that was in possession of the land and yes I did say five years worth of back taxes on your land for sale in Texas. Want to know all you have to do to get nailed with this tax, just change the use of the land from agriculture to anything commercial or just not with the Texas Ag exemption. If you do change the use of the rural land the Texas County Collector will calculate what the tax bill would have been for the previous five years and yes again that was five years and hit you the new owner of the land with that tax burden, how fair is this. I have yet to get anyone in the county appraisal district office to explain to me how this could possibly be fair, the only thing you will here from them is do it and pay us. What I don’t understand is how the Texas legislature could let this go on but that’s a discussion for another day like so many things. I advise you if you are looking for land for sale in Texas and it does not matter what county in Texas you need to make sure of the use of the land, how the Texas County Appraisal District Office has the land valued now and over the past five years and if it has been in Ag exemption you need to keep it that way or find another tract of land. I will give you one example on a land tract I bought less than an hour from Dallas all we did was put a bulldozer on the property and clear the fences that were all grown up and clear out some of the mesquite trees that you can’t even drive a tractor over without busting a tire. This was enough for the Appraisal District to hit us with over a $ 75,000.00 dollar tax bill for what the taxes would have been had it been commercial the previous five years so we had to run fast to our attorney to get out of that one and it was because we had a good attorney. So if you are looking at land for sale in Texas, make sure of your land use prior to closing and signing a contract, if it is in Ag exempt keep it that way or be prepared to pay dearly. An auto loan refinance works much the same way a mortgage refinance does. Basically, you are exchanging one loan for a new loan with terms that better suit you. The new loan may have a better interest rate, or it may allow you to change the amount due on your monthly payments. At the end of an auto loan refinance, you could choose to end up with a larger or smaller loan balance. For example, someone who has “equity” in their car (i.e., who owes less on the current loan than the car is worth in terms of resale value) may choose to actually increase the size of their loan in order to get access to some extra cash. On the other hand, someone else may refinance in order to reduce the size of their monthly payments, either through qualifying for a lower interest rate or by actually paying down the loan a bit for the sole purpose of reducing payments. Auto loan refinancing can be certainly done through your existing auto lender, but it makes sense to shop your refinance around in order to get the best-possible deal. If you have bad credit, it will be wise to learn how to go about getting a bad credit auto refinance, since the rules are a bit different for bad credit individuals. As you may already know, most auto lenders who work with loan refinancing focus on one thing and one thing only: the borrower’s credit score. If you have a score below 600, you will have trouble getting a good rate with these lenders. And, if your score is below 550, you may not get approved at all. Most bad credit individuals who figure this harsh fact out just give up on the spot. However, you can actually learn to use the fact of your low FICO score to your advantage. That is because some car financing companies actually look for people like this as their ideal customers. You will want to start your search for the right lender by looking for auto refinance lenders who actually advertise themselves as being “bad credit” lenders. That is your tip-off that they are geared toward looking beyond the credit score to extend a refinancing loan. These lenders may still refer to your credit report during the application process, so be sure to run your report well in advance of applying with any of the lenders. Be prepared to explain about any major glitches on your report. While lenders reviewing your application will never ask you anything too personal, they may well ask questions about your employment history (past and current), as well as about your residential history (e.g., do you rent or own?, etc.). Follow these 5 tips as you apply for auto refinance loans, even with a low FICO score. Cannot apply for cosmetic surgery loans because of bad credit? You do not need to worry any more! For people with not so good credit record, bad credit surgery loans have been designed! These can provide financial support to people in need of cash for their cosmetic surgery. You can utilize the amount obtained from bad credit surgery loans for covering the cost of cosmetic surgery, and plastic surgery, including skin resurfacing, scar revision, liposuction, hair transplant, and so on. Bad credit surgery loans are available in secured as well as unsecured form. The secured options are based on the collateral, which can be any of your valuable assets, including your home, or car. On the other hand, unsecured loans are absolutely collateral-free, with slightly higher interest rates. The amount that you can apply for in bad credit surgery loans may vary based on your requirements, repayment capability, and loans type selected. If you are confused on how much amount you require for your surgery, you can consult any experienced cosmetic surgeon, to know the exact charges, and then apply for it! Generally, in bad credit surgery loans, you can have amount varying from 1000-25000 with repayment term varying from 1-10 years. 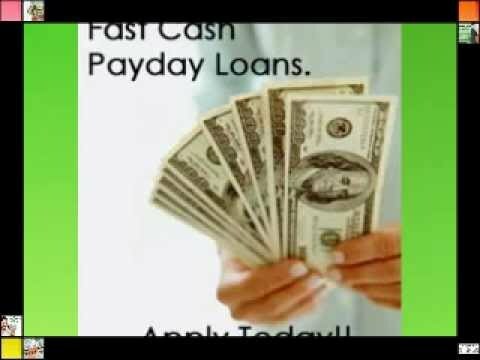 You can apply for bad credit surgery loans despite your bad credit record. Issues like bankruptcy, late payments, skipped payments, foreclosures, CCJs, IVA, arrears etc. are also acceptable! Though the interest rates for bad creditors are bit higher, but they have a golden chance of repairing their credit! Online application is open for 24/7. At the comfort of your home or office, you can apply for cosmetic surgery loans. Isn’t it a good idea to get cash without disturbing your daily routine! You just need to spend some time on internet in doing online research. You can also apply for free online quotes, and compare them. Finally, you can apply, by filling simple application form available online. You can complete the entire procedure at your own convenient time. Also, no physical visits are required! In fast, easy and secure way you can apply for loans for cosmetic surgery and find the best deal for your needs. Stockton, California reported the highest foreclosure rate among the nation’s 100 largest metro areas from Jan to Jun 2007, according to RealtyTrac, an online marketplace for foreclosure sales. Detroit and Las Vegas documented the next highest foreclosure rates. RealtyTrac s 2007 Midyear Metropolitan Foreclosure Market Report showed the foreclosure activity in the top 100 metro areas for the first half of 2007. As foreclosure rates continue to rise, 82 out of 100 metro areas recorded year-over-year increases in foreclosures. Stockton reported one foreclosure filing for every 27 households with a total of 8,169 foreclosure fillings on 4,239 properties. The rate of foreclosure has increased exponentially to three times more than the number reported last year, for the same period. Detroit, with one in 29 households going for foreclosure, recorded the second highest foreclosure rate. A total of 28,705 foreclosure filings were made on 20,231 properties, which is almost double the number reported from Jan-June 2006. Las Vegas documented one foreclosure filing for every 31 households, making it the third highest in foreclosure activity among the 100 metro areas. It reported 22,928 foreclosure filings on 13,028 properties, double the number reported during the first half of 2006. Six of the top 20 metro areas with the highest foreclosure rates were in California and four in Ohio. The following are the top 20 U.S. housing foreclosure markets from Jan to Jun 2007, the total number of foreclosure filings and households per foreclosure filing. 1. Stockton, California: 8,169 foreclosure filings; one foreclosure filing for every 27 households. 2. Detroit/Livonia/Dearborn, Michigan: 28,705 foreclosure filings; one filing per 29 households. 3. Las Vegas/Paradise, Nevada: 22,928 foreclosure filings; one filing per 31 households. 4. Riverside/San Bernardino, California: 41,351 foreclosure filings; one filing per 33 households. 5. Sacramento, California: 20,516 foreclosure filings; one filing per 36 households. 6. Denver/Aurora, Colorado: 23,842 foreclosure filings; one filing per 42 households. 7. Miami, Florida: 20,275 foreclosure filings; one filing per 46 households. 8. Bakersfield, California: 5,365 foreclosure filings; one filing per 47 households. 9. Memphis, Tennessee: 10,800 foreclosure filings; one filing per 49 households. 10. Cleveland/Lorain/Elyria/Mentor, Ohio: 8,844 foreclosure filings; one filing per 50 households. 11. Fort Lauderdale, Florida: 15,720 foreclosure filings; one filing per 50 households. 12. Atlanta/Sandy Springs/Marietta, Georgia: 36,502 foreclosure filings; one filing per 54 households. 13. Fort Worth/Arlington, Texas: 13,221 foreclosure filings; one filing per 57 households. 14. Fresno, California: 4,867 foreclosure filings; one filing per 60 households. 15. Indianapolis, Indiana: 11,677 foreclosure filings; one filing per 62 households. 16. Dayton, Ohio: 5,966 foreclosure filings; one filing per 63 households. 17. Dallas, Texas: 23,284 foreclosure filings; one filing per 65 households. 18. Akron, Ohio: 4,378 foreclosure filings; one filing per 70 households. 19. Oakland, California: 13,482 foreclosure filings; one filing per 70 households. 20. Columbus, Ohio: 10,706 foreclosure filings; one filing per 70 households. The Mortgage Debt Relief Act 2010 is in reality a debt relief option that is offered to you by the government to help you navigate through the current rough economic patch. Under federal law, if a creditor forgives a loan balance that is larger than $600, the creditor would have to fill up Form 1099-C to record this forgiven debt. This forgiven debt would then be considered as taxable income for the debtor. But with the existence of the Mortgage Debt Relief Act 2010, the federal government has been generous enough to write off up to $2 million of forgiven debt on your principal home for your taxable income calculation purposes. The limit is nevertheless capped at $1 million if you are a married person that is filing a separate return from your spouse, but it still does reduce your tax liability considerably. With the existence of this act, from the tax years of 2007 all the way up to 2012, if you have mortgage debt that has been entirely or partly forgiven, you can now apply for a special tax relief for this forgiven debt. This includes the mortgage debt that has been compromised through methods such as mortgage modification, mortgage restricting programs as well as debt that has been forgiven through foreclosure proceedings. To be eligible for this tax relief program, your mortgage debt must have been utilized to, buy, construct, renovate or improve your principal residence. In other words, your debt must have been used to purchase or better your principal mortgage, with no exceptions to this clause. Those who have utilized refinanced debt proceeds (for instance home equity loans or home equity line of credit loans) to improve or renovate their principal residences are also considered eligible for this tax exclusion. For reporting purposes, the amount of forgiven debt must be reported with the use of Form 982 (Reduction of Tax Attributes Due to Discharge of Indebtedness). You could obtain this form by downloading a copy from the http://IRS.gov website or by contacting 800-829-3676 to request for your copy. This form would be submitted with the taxpayer’s federal income tax return submission documents before they are sent to the Internal Revenue Service (IRS) for evaluation. The special exclusion should be claimed during the tax year in which the mortgage debt was forgiven by your lender. Do take note that before you file the forgiven debt amount in Form 982, you would first need to go through Form 1099-C (Cancellation of Debt) that is provided at the end of the year by your lender if any of your debt is reduced or eliminated. You would need to make sure that the amount of forgiven debt in Form 1099-C is correct, and this amount would be the figure that you would report in Form 982 before you submit the form with your income tax returns. You may keep in mind that you would only qualify for the Mortgage Forgiveness Debt Relief Act only if the debt is related to your principal residence, and not your secondary residences. Proceeds of refinanced debt that are utilized for other purposes do not qualify for this tax exclusion as well. For instance, if you have used returns of refinanced debt to pay off your credit card debts or to settle your student loan debt, these amounts do not qualify for the tax exclusion. You would also not qualify for this tax exclusion if your forgiven debt is for your second home, business property, automobile loan or even rental property. This government debt relief option is undoubtedly a good effort to help struggling homeowners cope better with high back taxes and tax liabilities. The ability to apply for this tax relief of up to $2 million should help countless citizens reduce the amount that they have to pay back to IRS in terms of outstanding tax liabilities and back taxes, and would go a long way to help the nation recover economically.